If you think about it - only big and bold ideas have a chance to lead to meaningful change. One of my personal dreams when I started my career was to make surgery more human, kinder and gentler and at the same time not compromise on the good outcomes for my patients. In the course of the last 15 years, our research group has certainly taken giant leaps towards that big, bold goal. Back when we started, many people – including those who supported us – said our goals were too ambitious. Our research track record now speaks for itself. One of my personal big dreams has long been to trek to Everest Base Camp. Why? Because its pushing the limits and it is uncertain if I will succeed. It’s a big project. It’s a little bit like cancer. To battle cancer is a big project. Many patients will do well but sadly, for some of our patients, a lot of dreams will be cut short. I have found a group of kindred spirits, people who are only connected through their determination to turn a big and bold idea into a reality by ticking Base Camp off their personal bucket lists. With this trek, we will raise funds for our women. For those women who battle gynaecological cancer now and for those who will be diagnosed in the next 1, 2 or 5 years. Cherish the women in your life by donating to our cause. 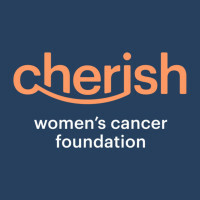 Please donate to the Cherish Base Camp Trek and raise money to find better, kinder and more effective treatments for women with gynaecological cancer. Please support Cherish as we undertake this adventure of a life time.